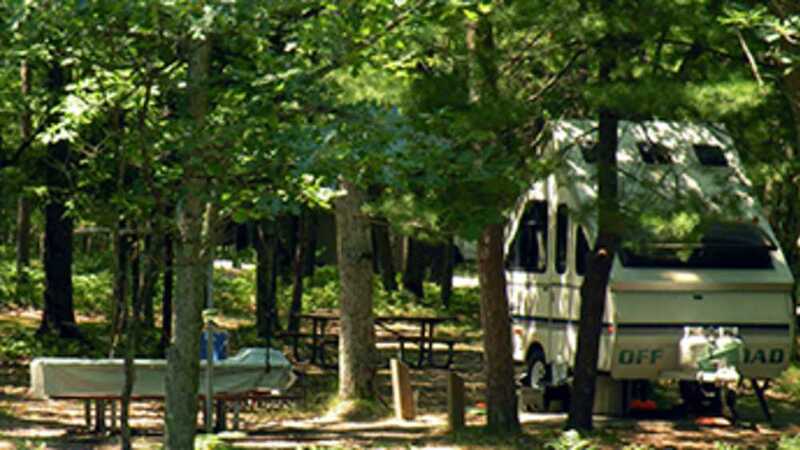 This campground borders Lake Michigan to the west and Nordhouse Dunes Wilderness Area to the south. There are two accesses for the beach, one at the end of both roads. There are several historical interpretive signs along the campground trails discussing history and dune ecology of the area. The Violet and Hemlock Loops have a pressurized water system. The picnic ground has a well system.